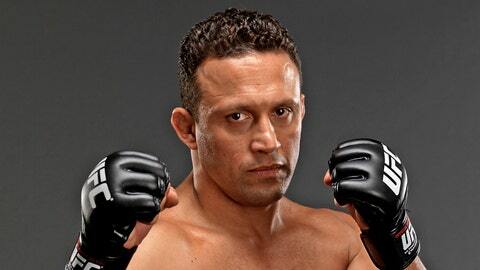 Renzo Gracie, last fought in the UFC in 2010, was arrested outside a New York City nightclub Monday morning. Two members of MMA’s first family are in some trouble with the law. Former UFC fighter Renzo Gracie and his cousin and fellow MMA competitor Igor Gracie were both arrested outside a New York City nightclub early Monday morning, the NYPD confirmed with FOX Sports. The initial story was reported by the New York Post. The two Gracies and five other people are being charged with gang assault after an incident that allegedly left one of the club’s bouncers with a broken arm, per the NYPD. The charge for Renzo and Igor Gracie is in the second degree. The arrests occurred at 1:30 a.m. Monday morning at 1 OAK, a trendy club in the Meatpacking District of Manhattan. Gang assault is defined by New York State law as an assault that causes physical injury aided by two or more individuals. In the second degree, it carries a potential sentence of up to 15 years in state prison. The Gracies were arraigned Monday evening and released on $10,000 bail, an NYC criminal court official told FOX Sports. Renzo Gracie, a legendary Brazilian jiu-jitsu practitioner and trainer, has fought both in the UFC and in PRIDE. Renzo, 47, has trained the likes of former UFC welterweight champion Georges St-Pierre, former UFC lightweight champion Frankie Edgar and current UFC middleweight champion Chris Weidman at the gym he runs in New York, which is a short walk from the 1 OAK nightclub. Renzo Gracie’s last fight came in the UFC in 2010, a loss to Matt Hughes. Igor Gracie, 34, trains and teaches at Renzo Gracie Academy in Manhattan and also runs his own gym in nearby New Rochelle. Igor has fought for Bellator, Strikeforce and ONE FC, while most recently competing for World Series of Fighting last year. Igor Gracie is one of the chief trainers of famous chef and television personality Anthony Bourdain. Both Gracies are cousins of UFC Hall of Famer and pioneer Royce Gracie and the nephews of UFC co-founder Rorion Gracie. A message left with Renzo Gracie was unreturned Monday night. Two years ago, Renzo Gracie live-tweeted his own attempted mugging, apparently fighting off two men on the streets of Manhattan.